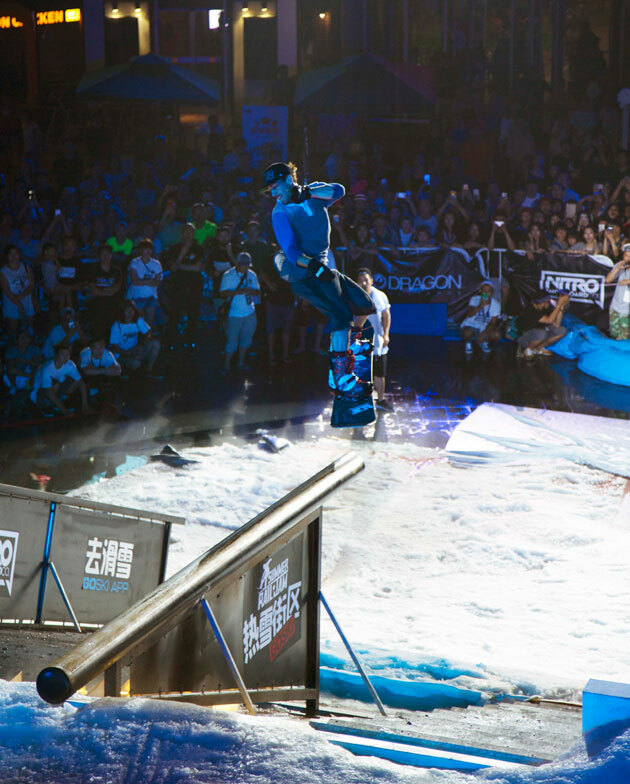 Despite hot and humid weather conditions in Beijing, an estimated 6,000 spectators came to Beijing Sanlitun Soho to witness the 2016 Beijing Summer Rail Jam hosted by GoSki and HitFM. 19 riders from all four corners of the world joined the event, and gave a spectacle to the hyped crowd. Eric Beauchemin (USA) won the judges over with a 50/50 Backside 360, and an impressive 50-50 Frontside 540, Sean Murphy’s (USA) solid runs with the best trick being a BackSide LipSlide Kink Rail to Rail slide earned him the second spot made Ryusei Takahashi (JPN) third with an uber stylish Half Cab 540 to Backside 360. The set up consisted of two kinked rails, a pipe rail and a wall ride. The athletes performed to the best of their abilities, and pleased crowds and judges alike. The top Chinese rider Ma Guo Sen battled until round six, and it’s clear that while Chinese riders have progressed, there is still a gap in style and technique to be closed compared to riders from the US or Europe or Japan. The riders noted that it was a special time to be in Chinas capital at the first anniversary of Beijing’s winning bid to host the Winter Olympics 2022. The experience is unforgettable, and the stoke for the sport will help to bring more people on the slopes and push the sport as a whole. 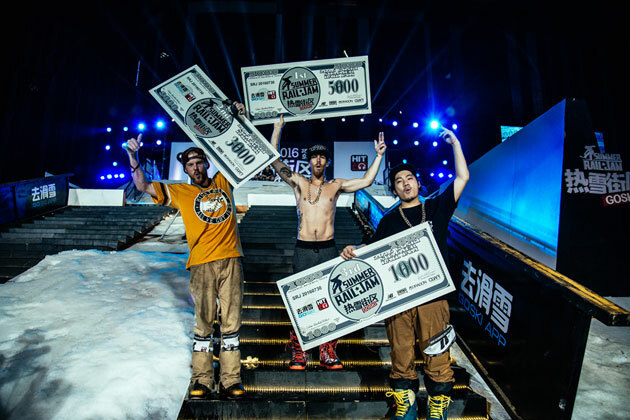 Through the live stream and TV formats, millions of Chinese were reached and immediately snowboarding captured their minds, setting the tone for years to come.